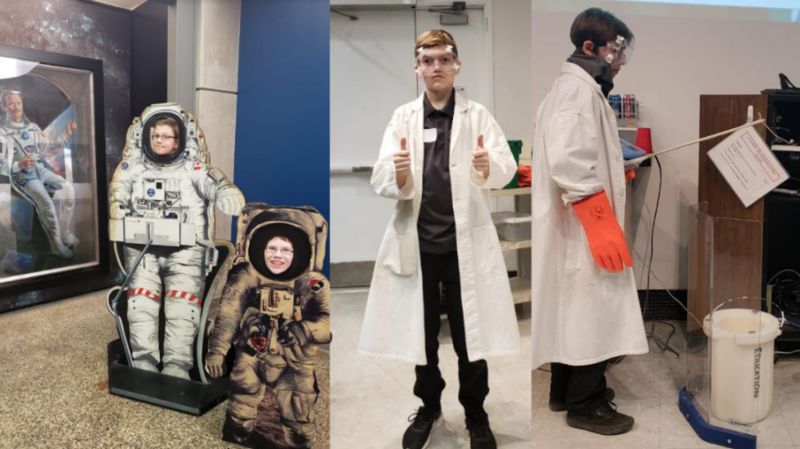 On Friday, January 24th, while the rest of high school was writing their exams, Grade 7 & 8 students had the chance to explore the Ontario Science Centre for the day. While we were there, we saw many incredible inventions, discoveries, and artifacts from all realms of science. Students had an opportunity to be part of a scientific lab and conduct some thrilling experiments. Grade 7 students got to work with the intricacies of liquid nitrogen, freezing common items in a matter of seconds! Grade 8 students explore the curiosities of fluid dynamics and pressure, smashing through various objects using a depressurized cannon! It was a wonderful day for everyone with lots of opportunity for learning, inquiry and most importantly fun! A huge thank you to the Grade 7 & 8 teachers, chaperones and the students themselves for a fantastic experience.